MORGAW started as a result of our passion for cycling and longtime experiences from a racing background. A saddle, the most intimate part of the bicycle, alpha and omega of every rider, became a synonym for the MORGAW brand. From 2009 to 2011 MORGAW specialized in the production of high-end full carbon saddles. During this period we learned about the constructions, technologies and material limits which accompanied the global saddle industry. We realized that we could improve the comfort of the saddles through active saddle platform, which could possibly substitute stiff, non-active rails built under the saddle. We fell in love with this idea. After 2 years of development, extensive testing and prototypes we came up with basic concept which had been developed further in late 2013 and brought into production – also thanks to our supporters from our crowdfunding campaign. The result is a new saddle platform which has been awarded by a prestige iF IBDC competition, as an Bicycle Innovation of the year 2014. 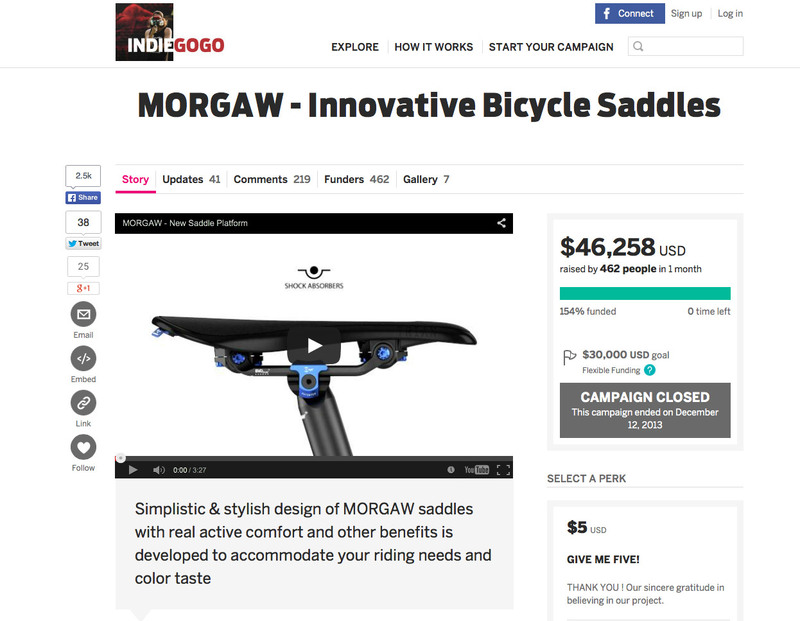 MORGAW aims to embody real rider`s needs and make their riding experience more enjoyable.